If you’ve upgraded from Windows 7 or Windows 8 then there is a big chance that Internet Explorer is still installed on your Windows 10 installation. If you for some reason don’t want to have Internet Explorer on your system then you can follow these instructions to get rid of Internet Explorer in Windows 10. The steps do work for Windows 8 as well. icon-exclamation Internet Explorer is used by old applications to connect to the internet and get data that the program uses. If you remove Internet Explorer then some of these programs might stop working or become unstable. 4. Within Programs, click or tap on Programs and Features. 5. 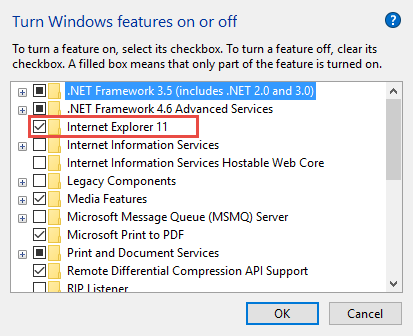 Within Program and Features, click or tap on “Turn Windows Features on or off” in the left pane. 8. You might have to restart your system for the uninstallation to complete. 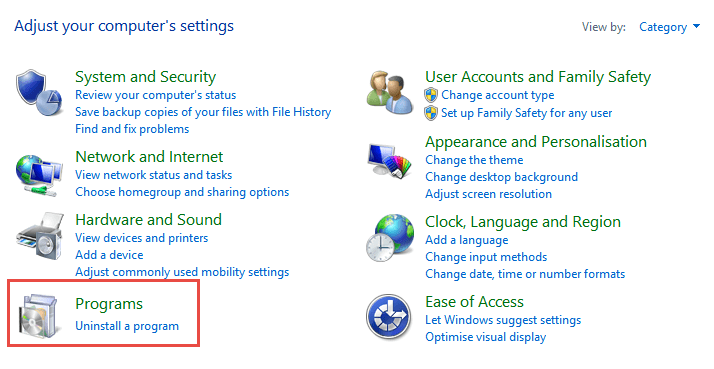 If you want you can reinstall Internet Explorer at any time by following these steps. If you need more help getting rid of Internet Explorer then feel free to visit our forums and ask for personal help. We will be more than happy to help you further. We hope this guide helped you on How to Remove Internet Explorer from Windows 10.